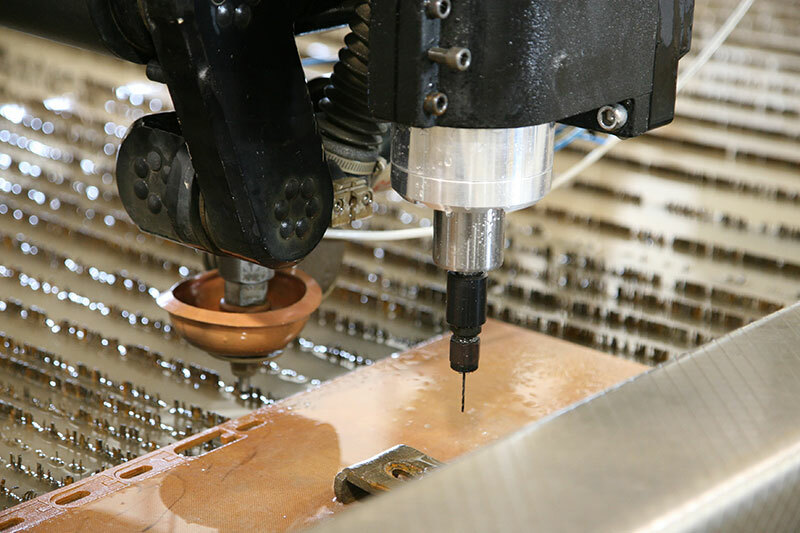 Absolute Supply is a tier 1 supplier of raw materials and abrasive waterjet cut parts. Our customers are generally machine shops and fabrication businesses, but are not limited to manufacturing companies. Started in 2004, Absolute constantly strives to improve quality, price, lead time, and service. These are four things that Absolute is committed to continue to grow and succeed at. These commitments combine with a phenomenal group of employees to pave the way forward for this rapidly growing company. At Absolute Supply we are very proud to offer some of the fastest, most accurate quotes in the industry. Our inside sales team is ready and eager to quote your project whether it is a single piece of aluminum, 10,000 pieces of thick stainless steel, or any other of thousands of materials that our waterjets can cut.